Acrylic or Cotton? What to use!? 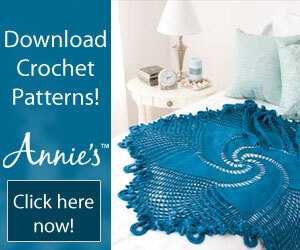 This is a subject that is widely debated among crocheters. I would like to share with you my own perspective. There are pros and cons to each yarn type. Cotton they say is more absorbent and many people prefer to use cotton in all their cleaning. I personally have a hard time finding a 'soft' cotton, because I would prefer to use cotton for Spa Wash Cloths. 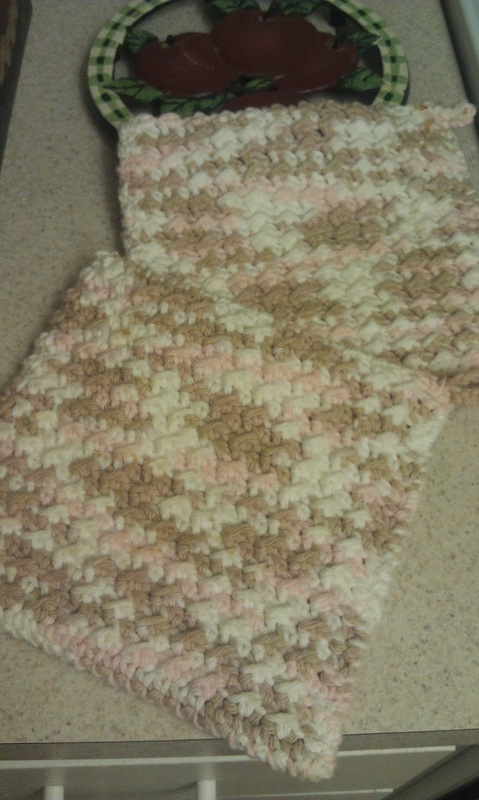 Lily Sugar 'N Cream is just too rough in texture, even after being washed. 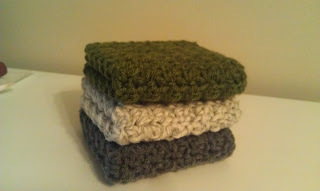 So I use it to make Pot Holders- which is a must. 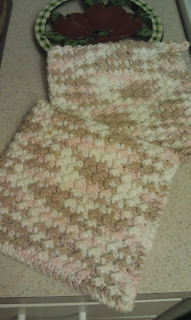 You shouldn't really use Acrylic yarn for pot holders because of the temperature ranges. 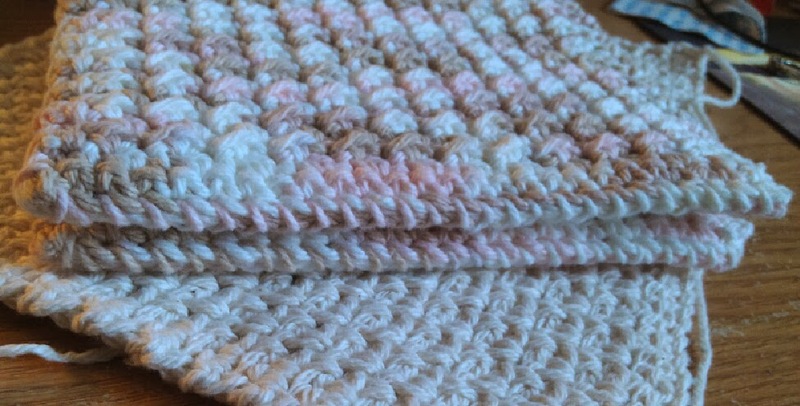 Acrylic yarn can melt if too hot, whereas cotton will not. 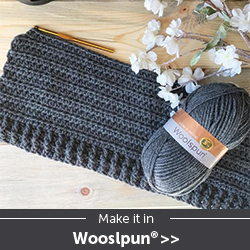 Lily Sugar 'N Cream has many colors to choose from, including some variegated to make for a nicely colored piece without having to change yarn! 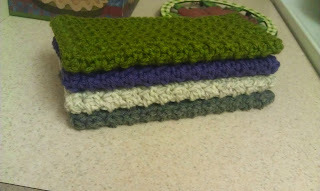 For dish cloths, I like to use Acrylic, especially Bernat Super Saver yarn. The acrylic texture provides just enough roughness for scrubbing your dishes. I have discovered a stitch pattern that makes the soap lather up nicely and last! It also provides enough space to allow the cloth to dry without souring. I also find myself using half the soap as with using a regular kitchen sponge. So there you have it! 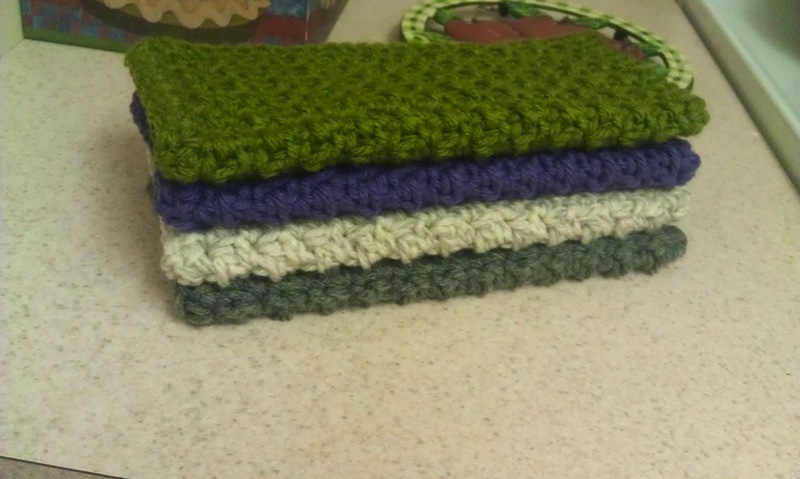 Acrylic for my dish cloths and cotton for pot holders and eventually a soft cotton for spa wash cloths! Here are the patterns! I didn't know there was more than one! I don't think I've seen them at Joanns or other places I shop for yarn. I would assume I can order it from them direct? The very best cotton to use for spa cloths or personal face/body cloths is "I LOVE THIS COTTON" by Hobby Lobby. It is extremely soft.